A surprising post-season run has created higher expectations in Montreal, where cornerstones P.K. Subban and Carey Price look to carry the Habs deep into the playoffs again. This is part of our series of quick season previews for the seven Canadian-based NHL teams. We've also covered the Vancouver Canucks, Calgary Flames, Edmonton Oilers, Winnipeg Jets and Toronto Maple Leafs. Last season's record: 46-28-8 (100 points), 3rd out of 8 in Atlantic Division, defeated Tampa Bay and Boston in playoffs, lost to Rangers in Eastern Conference final. Last season's story: The only Canadian team to make the playoffs embarked on a surprising run, sweeping Tampa and upsetting bitter rival Boston in a seven-game thriller to reach the Eastern final. But Olympic gold-medal winner Carey Price went down with an injury in the series opener, and though backup Dustin Tokarski played bravely, it was too much for the Habs to overcome in a six-game defeat. Star defenceman P.K. Subban seized the spotlight with 14 points in 17 post-season games — including a two-goal, double-OT-winning opener against Boston — and parlayed that into an eight-year, $72-million US contract that makes him the NHL's highest-paid defenceman in terms of annual cap hit. Key off-season additions: F P.A. 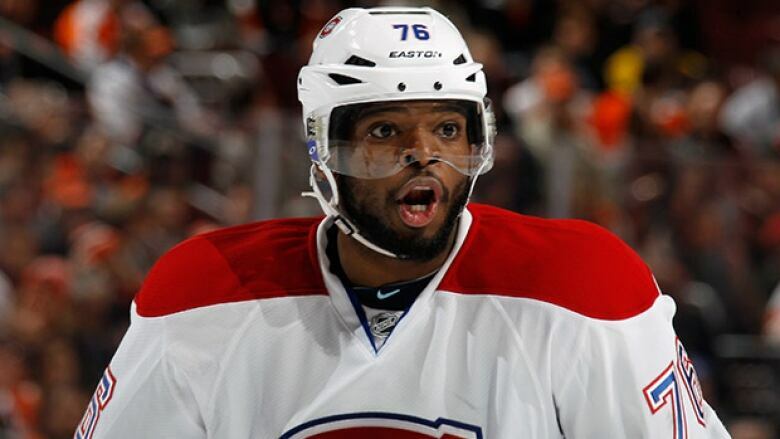 Parenteau, F Manny Malhotra, F Jiri Sekac, D Tom Gilbert. Key off-season subtractions: F Thomas Vanek, F Danny Briere, F Brian Gionta, F George Parros, F Francis Bouillon, F Louis Leblanc, F Ryan White, D Josh Gorges, D Douglas Murray. Best-case scenario: Subban, still only 25, just keeps getting better; Price is his usual brilliant self; 39-goal-scorer Max Pacioretty makes it a true Big Three; and worries about the loss of name-brand forwards Vanek, Briere and Gionta (combined, they played about 4.5 games per goal last season) prove unwarranted as the Habs maintain their level of last spring and cruise into the playoffs, where they ride their stars to another deep run. Worst-case scenario: That great ride to the conference final creates unrealistic expectations, and as Subban and the Habs get off to slow starts, pundits howl about the lack of LEADERSHIP on a team that decided not to name a captain. Last year's underwhelming possession rate (48.5% Fenwick Close) and goal differential (plus-11) stick around while the record in one-goal games (22-11-8) goes south. The Habs struggle to put the puck in the net, lose a bunch of low-scoring games and slide toward the fringe of the playoff picture. VOTE: Which Canadian team will end Cup drought?